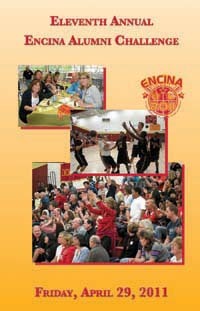 This year we raised $43,300 for Encina! 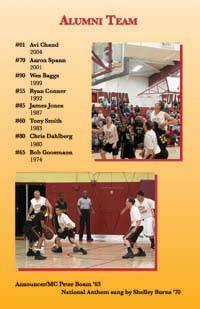 The gym was packed for this year's game due to all the special half-time activities. The alumni team lead briefly 9-7 in the first quarter. But the varsity team's relentless pressure and deadly three point shooting resulted in the varsity leading 30-21 at the half. 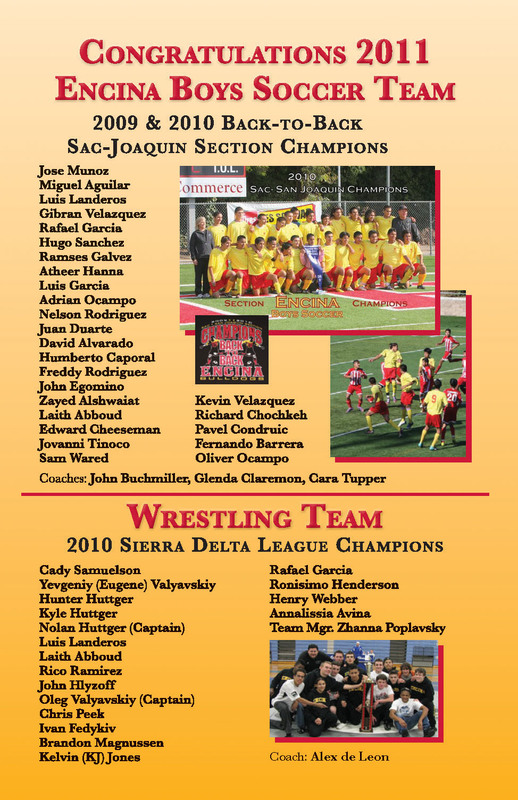 At half-time the championship soccer team and wrestling team were acknowledged, followed by the induction of John Goodman 63 into the Encina Hall of Fame. 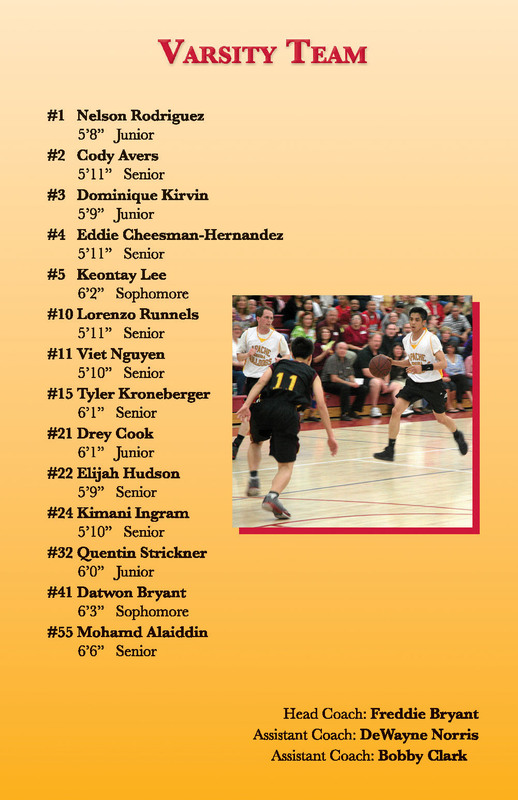 In the second half, the varsity team doubled their margin, winning 74-52. Another amazing event with an incredible crowd and spectacular generosity from all of the Alumni donors. Thank you for once again stepping up! 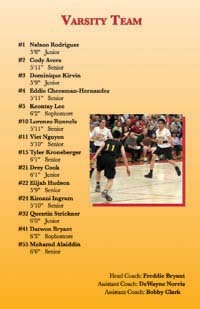 The only negative was getting stomped by the Varsity, who quite frankly played out of their minds. It didn't help that we missed most of our free throws, but the bottom line is they simply out-played us. That's two losses in a row (and an overall 6-5 lead in the series for the Varsity), and of course this trend cannot be allowed to continue. I am already pondering strategies for next year, and promise the Alumni Team will be back with a vengeance. Thank you to everyone who contributes to the ongoing success of this great event! WOW! 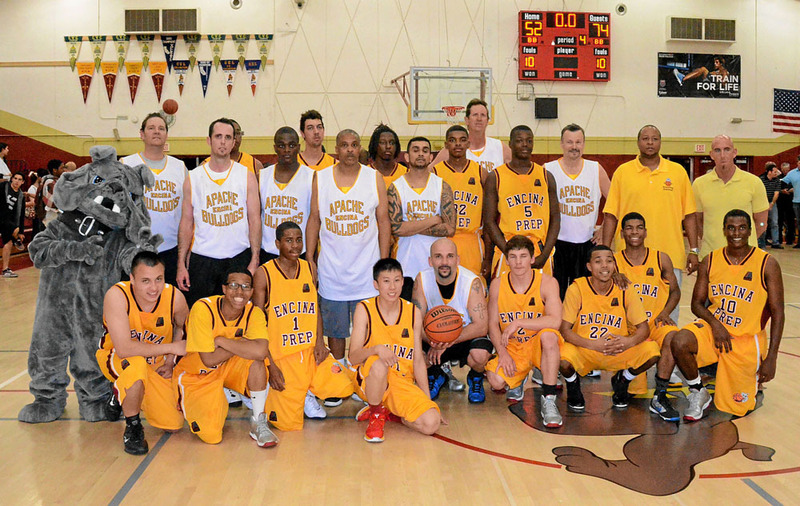 This year's Alumni challenge is over and although the Alumni team didn't win the basketball game, we ALL won by giving our support to Encina's students and OUR school. I was so glad to see so many familiar faces from the decades and to meet new ones. The classes of 63 and 61 we out in strong support of John Goodman and the Class of 61's Golden Anniversary as were alumni from most of Encina's graduating classes. We could not have chosen a better person for the Encina Hall of Fame than John Goodman '63 and I am so glad that he, Gayle and family could join us Friday night in celebration and recognition. John and Gayle represent the best of what it means to be an American and to serve our country. I think we set a record for turnout of BOTH alumni and students. I was sweating it from a food standpoint as I saw the double lines formed out the door!! From a fundraising perspective, I'm happy to say that we'll pass $38,000 and maybe make $40,000. 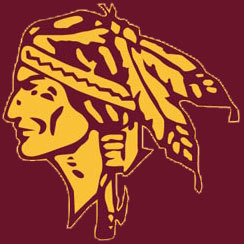 We all should be very proud of our support of Encina's kids. I KNOW they appreciate it. I have 6 hours of video from the event and will begin editing in the next few weeks to post highlights and more. If you require a DVD, please email me and I'll send one out when I have it compiled. My thanks to Peter Boam ('63) for announcing, Guy Blair ('70) for all around help before and during this year's Alumni Challenge, Bob Goosmann and the Alumni Team for busting their tails, Shelley Burns ('70) for singing the national anthem, Rollin Coxe ('64) for photography , Irene Birchfield Campbell ('68) for wearing her Apache mascot costume and, of course, Harlan ('73) for all his work in contacting and gently nudging alumni and photographing the event. Thanks also to Heddy Crowder, Encina's Community Liaison, Lori Sato, Activities Director, Encina ASB and Principal Dan Kenley. 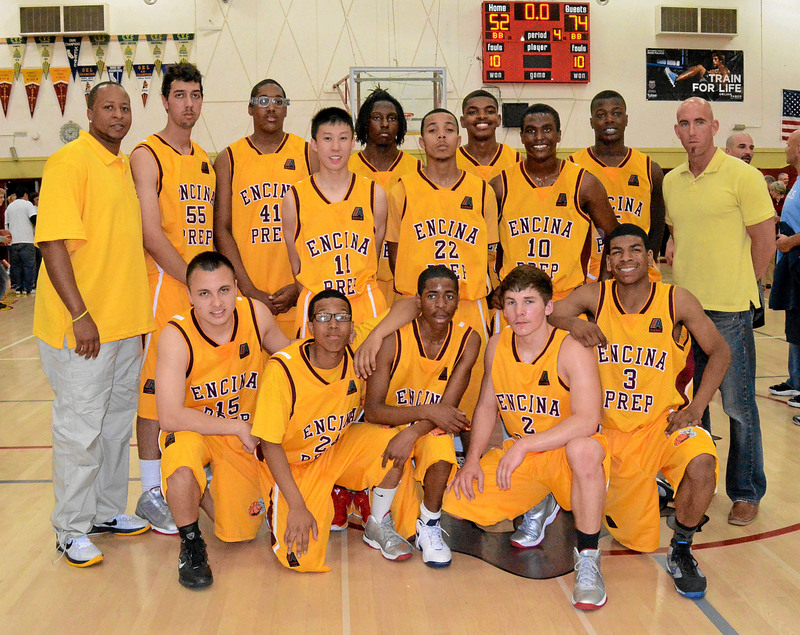 Most of all, thanks to ALL who donated to Encina and who came to the game on a wonderful Friday night. 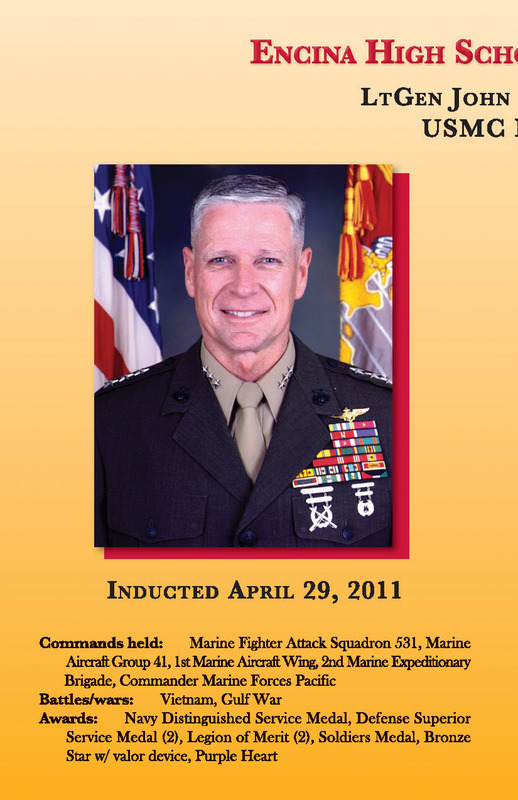 We're VERY excited to announce the creation of the Encina Hall of Fame and our inaugural inductee, Lieutenant General (ret.) 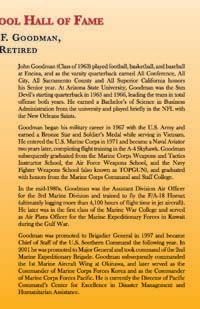 John F. Goodman, Class of 1963. 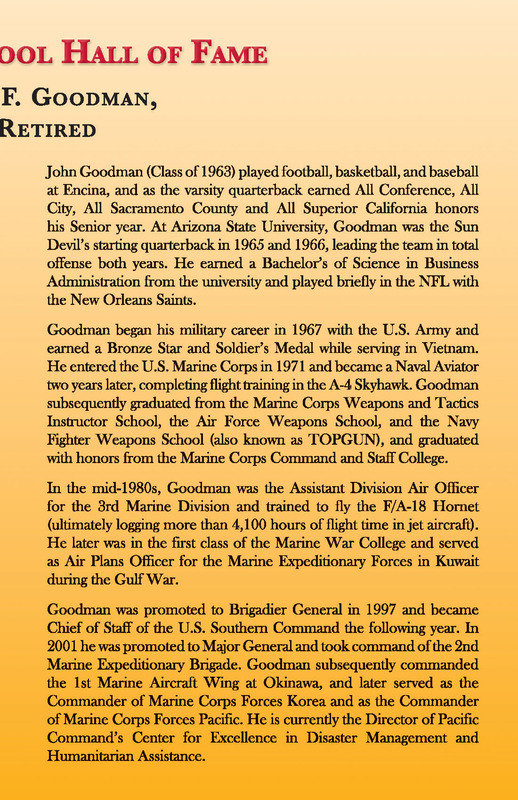 General Goodman will be inducted in a ceremony during halftime at this year's Alumni Challenge basketball game, thus initiating an annual tradition of honoring Encina graduates and others who have noteworthy accomplishments or have contributed to the school in a significant way. 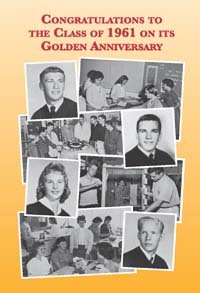 This year marks 50 years of Encina graduates. 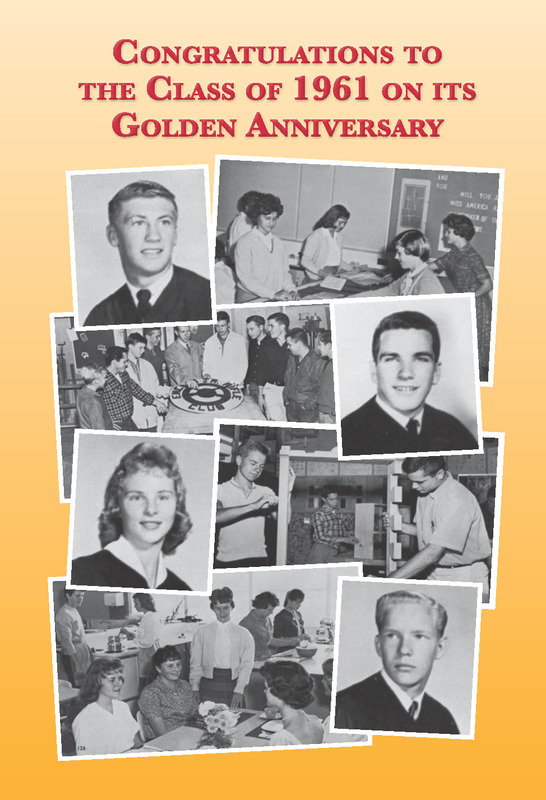 Join us to celebrate Encina's first graduates--the Class of 1961--with special remembrances, Class of 61 alumni, faculty and a special "50 Years" Birthday Cake! My school friends/family are telling me that they believe we should be eblasting that I'll be wearing my Apache mascot outfit to the Challenge. They say it will stir up old memories among the "Apache" graduates....and create more discussion i.e. DONATIONS !!!! 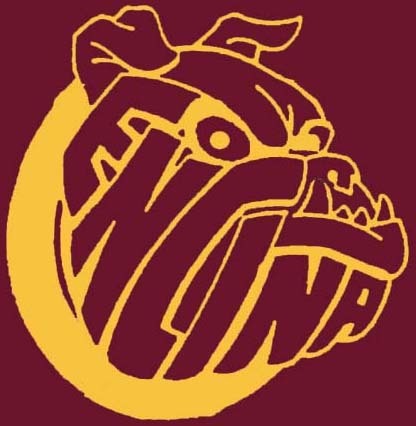 Dinner will be followed by the always-exciting basketball game between Encina Alumni and the current Boy's Varsity team. This extremely competitive series is knotted at five wins each, so both teams will be extra motivated to bring home a victory this year. Our professional announcer, Peter Boam (Class of 63) will call the game and be Master of Ceremony for the event. 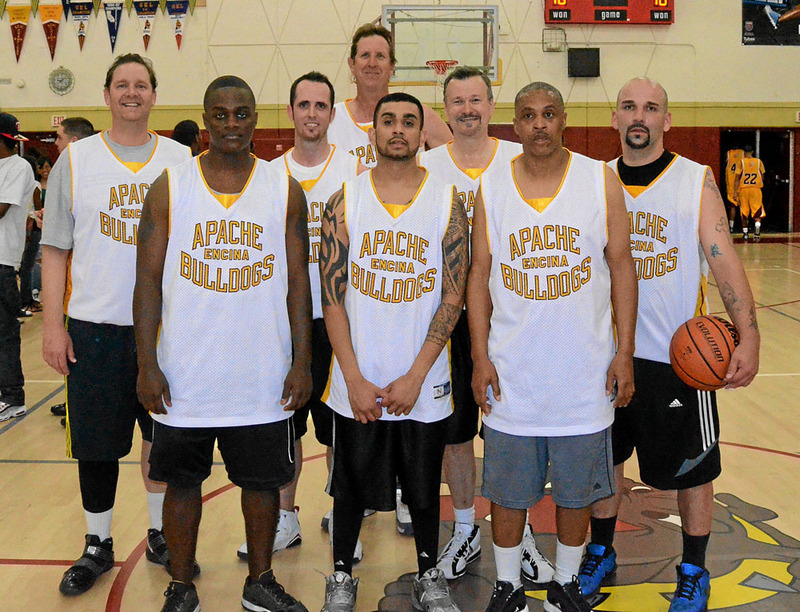 The Alumni Challenge is one of the most successful high school fundraisers in Sacramento history. Last year we raised over $34,000, and our goal this year is to top $40,000! 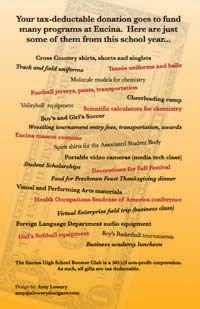 Even if you cannot attend the event, please consider a donation on behalf of your graduating class. 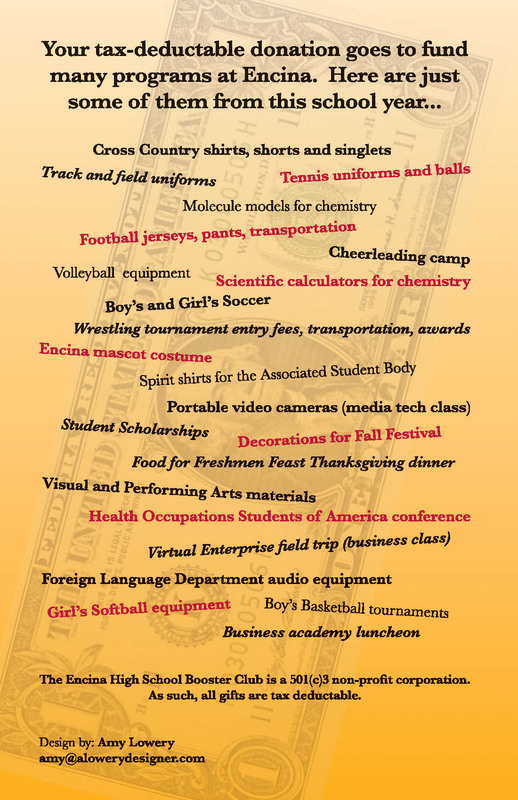 Your donation helps fund equipment and tournament fees for sports, academic programs, field trips, scholarships, college campus tours, and much more at Encina. Most of these programs and projects get no funding from the school district or other sources, but make a big impact on campus. 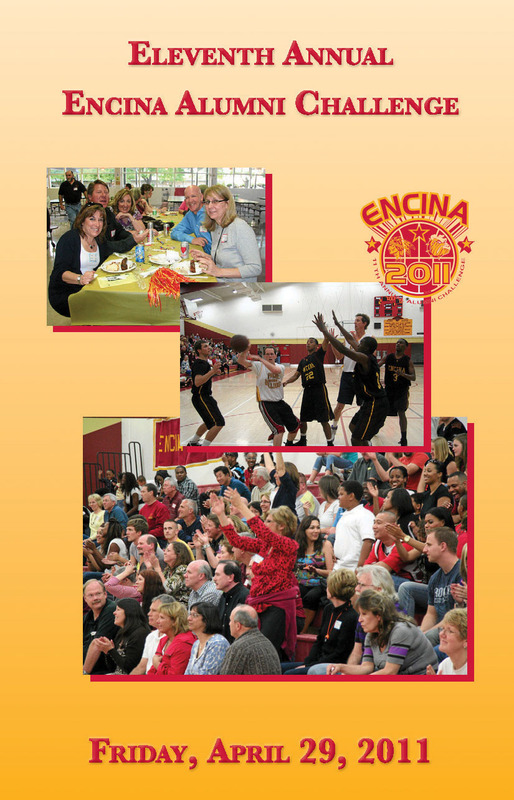 In the past ten years the alumni challenge has raised over $400,000 for Encina!